Sometimes, all you need is just one crucial piece of info in order to succeed, and one of the best ways to find it is to learn from the writings of those who have already succeeded at it. 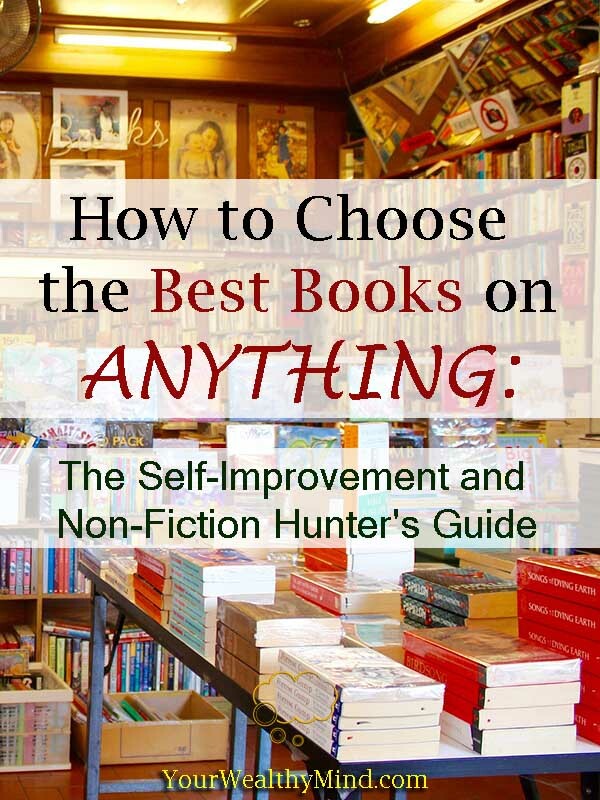 Here’s my short guide on choosing the best books about anything you need to accomplish. (But First!) Why Books over Free Blog Posts and other Internet Resources? In general, most well-written books are organized well from start to finish. Although you might find the same information in a collection of blog posts, their ideas will tend to be fragmented and you might have a more difficult time synthesizing and combining the information into something workable. Unlike blog posts which, by necessity, need to be short and thus cannot go into too much detail on certain topics, well-written books can and do go in-depth about their subjects and do it as a consistent and thematic whole. This is, most likely, the most important one: Since literally almost ANYONE can write a blog, you’ll find MILLIONS of posts (and “free” eBooks) out there that are garbage, like plagiarized content, black hat SEO spam, etc. (so says the blogger, though I DO promise excellence, you know). Books, on the other hand, get evaluated by editors before they get published and that’s the first way to screen out the trash. The second safeguard are unbiased book reviews that are posted all over the internet. A quick read of those reviews will tell you if the information contained in a book is right for you or not. First, search the internet for the “Best Books on <your topic here>” (without the quotes or special symbols, ex. “best books on investing”). You can also search the books category on Amazon.com about your topic (Note: Try other online bookstores too!). After getting a few ideas on what books other people recommend, check the Reviews. You can find them on the blog posts themselves, but I prefer checking Amazon.com . Just look at the book’s product page and click the reviews link to see them all. Check: Is it good? Well written? Does it have useful information, or is it just a rehash of what everyone else knows and thus offers nothing useful? The Amazon reviewers sometimes describe what topics the book contains. Does it have the information that you’re looking for? 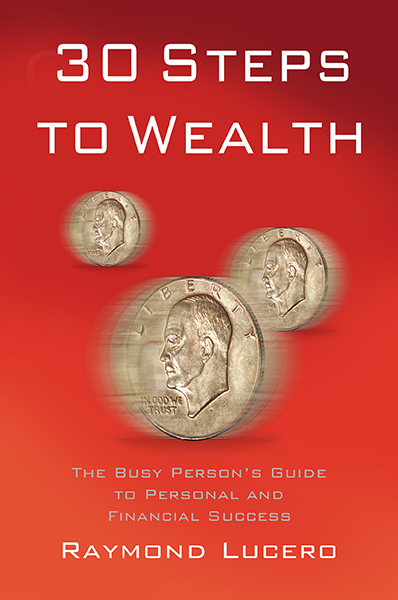 For example, if you’re looking for an Investment Book about spotting trends on the shopping market to get an edge over the financial experts (like “One Up On Wall Street ” by Peter Lynch) but the book you’re looking at, although good, is about following charts and Technical Analysis, then you might try choosing something else if it isn’t what you need. By knowing what’s inside, you can also check if you already know the information it contains. For example, if you’re already well-read on advanced investing principles, you might want to skip that book which is intended only for beginners. If the reviews are positive and the book seems useful, try to look for a hard copy in a nearby bookstore and browse it (some online stores give eBook previews so check those too). If you can’t find a copy you can browse, take the chance and buy it if you believe that it’s useful. Ask yourself: Is the format good for you? Is it too technical, complex, or boring? Does it REALLY contain information that you can and WILL use? Sometimes, even though a book is lauded as one of the best there is, if it’s too technical that you can’t read it without falling asleep (thus making it extremely hard to learn), then you might want to try another book. Remember: The goal is NOT to read a popular title but to LEARN something we can USE to achieve our goals. I recommend that you choose the books from well-established professionals and experts, though you can also buy from excellent researchers who studied and condensed what experts learned (that’s what Napoleon Hill did with “Think and Grow Rich ” by the way). Always remember that the goal is to LEARN something USEFUL. If you find a book you like and determined to be useful, buy it! Like what Benjamin Franklin said: “An investment in knowledge pays the best interest.” If a $10 book can give you the knowledge you needed to earn $10 Million, then isn’t that worth it? On a Final Note: Never forget that books are simply road maps and guides that show us what’s POSSIBLE. Nothing replaces ACTION, Perseverance, and Wisdom. BONUS Lesson: There are many FREE Resources out there, but learn to spend money on knowledge that you need. I’ve had a discussion on a certain forum with somebody who said you don’t ever need to spend money on books since there are many free ones out there. I agree with him on that last part since there are MANY free eBooks out there like old classics in the public domain, but I don’t agree with the suggestion to NEVER spend money on books (or seminars and workshops for that matter). If you only keep looking for what’s “Free,” then you’ll forever miss out on ALL the lessons that COULD have changed your life for the better because you were too cheap to pay for them. Ex. You wanted to try real estate but you don’t have the capital. That book could have taught you the proper way to use seller financing, checking for “due on sale” clauses, use lease options, use negotiation tactics for real estate, use a lawyer for the contracts and as a tactic on negotiations, etc. “If I have seen further, it is by standing on the shoulders of giants,” said Isaac Newton, and “Employ your time in improving yourself by other men’s writings, so that you shall gain easily what others have labored hard for” said Socrates. Continue your personal growth through reading and aim to achieve things that other do not KNOW how to reach.